So, for my late night movie, I decided to go watching for movies on Youtube. I found that nothing on cable was new nor interesting. 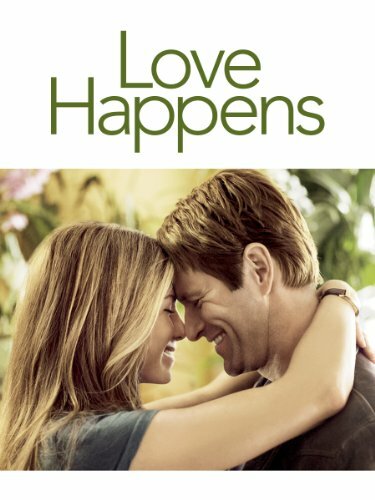 I ended up watching Love Happens (Jennifer Aniston & Aaron Eckhart) just because I haven't seen it before. Truth be told, this is quite a "heavy" story. The story is about a man who lost his wife, blames himself for it and decided to write a book on how he copes with it. He eventually became a life coach, doing workshops for people with similar troubles. I realise, I too was in that path before. Honestly, the story made me cry. I was sad about a lot of things, but I was no longer sad about the loss I had. Over the years, I have finally made peace... however, in turn, I realise, I have secrets I have never shared with my special other. After sometime crying, the story spiralled into other different stories about my past. Stories about how I received the "Most Conscientious" award in High School, how I struggled to earn a little to sustain schooling requirements, the strifes during college and how a few people made a big impact in my life. I saw the trend. You be true to yourself, know what goals you desire in life and let things unfold in the way. Just live it. Don't hold grudges and God will send angels to help you move forward. The stories sounded better, happier towards the end of my story-telling. I also felt better. Sometimes, more secrets are revealed.. even to yourself. The things you can't tell anyone, when you do tell them (eventually), there is another version you never told yourself. This is the time you'll understand a little more about your strength, your perspective, who you really are. Isn't it great? You need to cry to realise you're happy. This is usually what is good (and bad) about Drama movies. What about you? What stories will come up from watching this?